I found this adorable free digi stamp at Anne Bodil's blog and I just had to use it. These two rabbits are just so darn cute, aren't they? 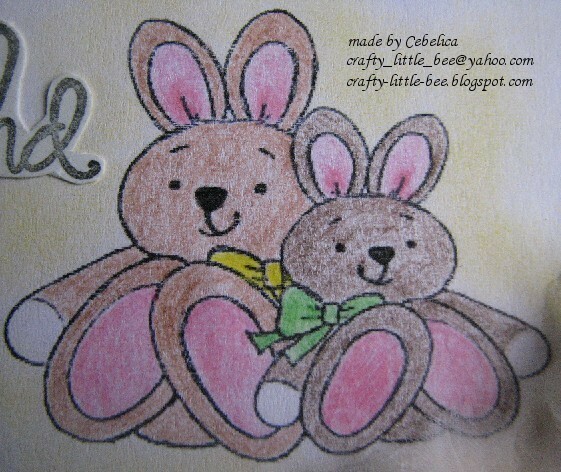 And it's really nice of Anne to share this free digi stamp with others. She has more on her blog, so check her blog out if you want to. I wanted to make a simple but yet cute card. Therefore I didn't use many embellishments and as for the paper goes, I only used plain colored paper (I used light yellow, light pink and light green paper). 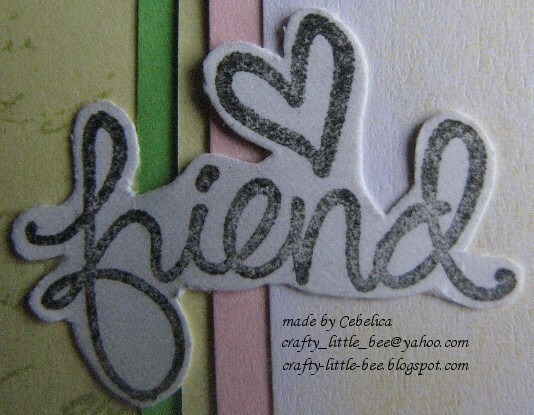 For decorating paper I used Stampabilities' Faded text background stamp. 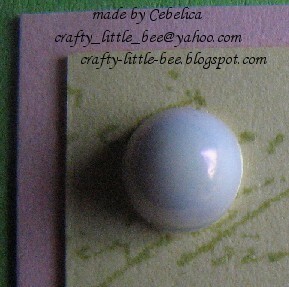 Green ink I used is Tim Holtz's Distress Ink (Shabby shutters). Word "friend" has been stamped with G Studio's clear stamp. Other embellishments (little dots and flowers) are just something I've had in my drawer for quite some time, but haven't had the chance to use them (much) yet. Sweet bunny image. 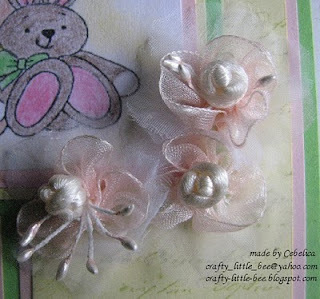 The layout and your embellishments are so pretty. Thanks for joining the fun at the Fuzzy Wuzzy Challenge this month. 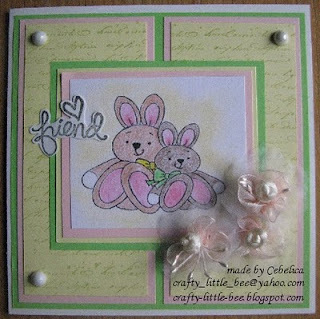 Aaaaww such a pretty card, love the sweet bunnies and beautiful flowers too!